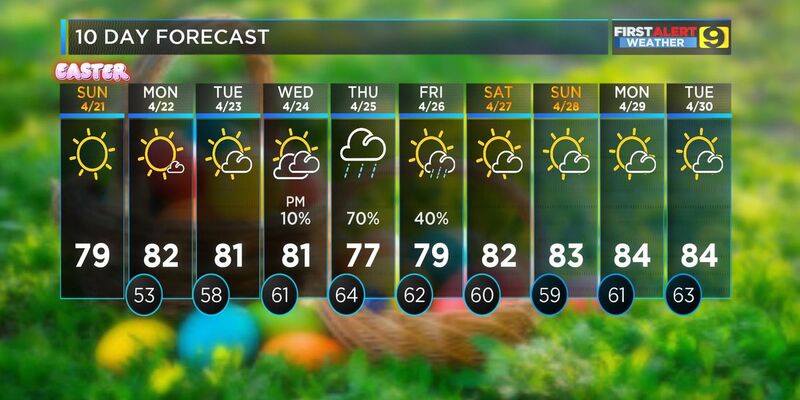 BATON ROUGE, LA (WAFB) - One more quiet and dry spring day before the threat of rain and storms return to the forecast tomorrow. 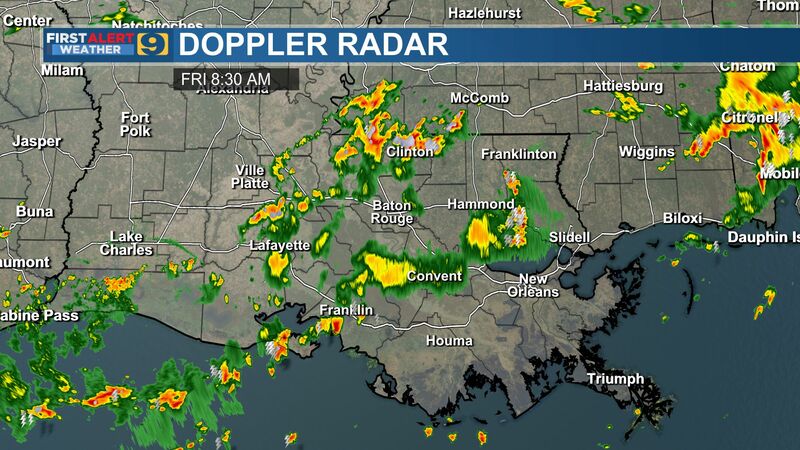 In the meantime, no activity this morning on FIRST ALERT Doppler radar and none expected later today. 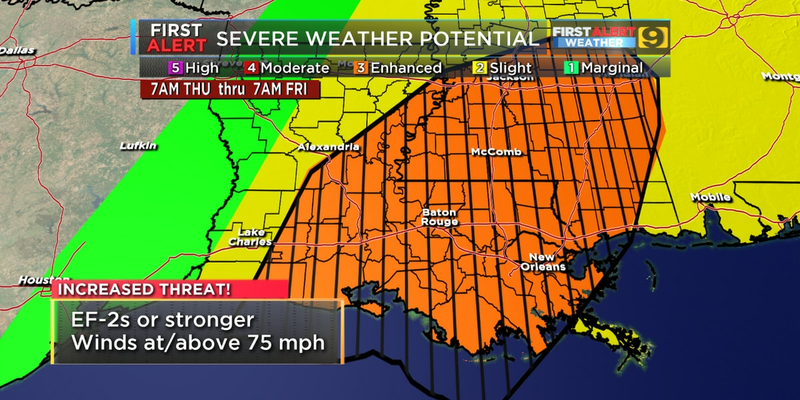 Severe weather outlook for Baton Rouge. We’re looking at a sun/cloud mix, breezy SE winds and an afternoon temperature pushing into the lower 80°s. 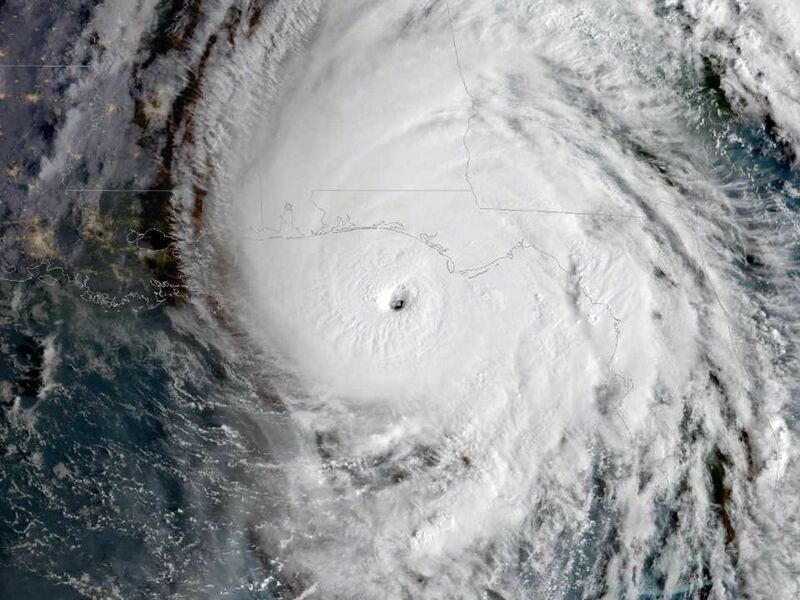 Overnight, increasing clouds – a low of 67°; tomorrow, our entire area will be under an “Enhanced Risk” for severe weather; strong winds, tornadoes, hail and heavy rain are all possible – primarily during the afternoon into the evening hours, a high of 78°.